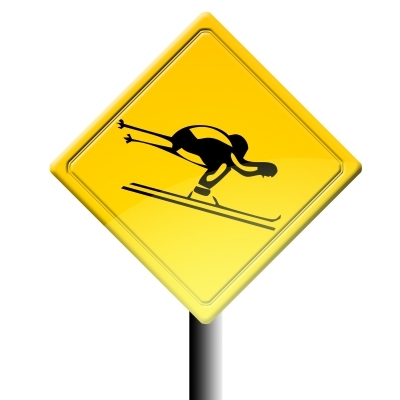 While there have been a number of recent decisions limiting the rights of injured skiers to recover under Pennsylvania law, it appears that such claims will be allowed to proceed against a fellow skier where the injury results from the reckless acts of that other skier. In a June 14, 2011 decision, Judge Richard P. Conaboy of the United States District Court for the Middle District of Pennsylvania entered an Opinion and Order in the case of Smith v. Demetria, et al., No. 3:11-CV-773 (M.D.Pa. June 14, 2011, Conaboy, J.) denying the motion to dismiss and allowing the tort and punitive damages claims to go forward in a skiing accident case. In this matter, the Plaintiff, who was injured while skiing, filed a claim against a snowboarder alleging that the snowboarder was acting recklessly at the time of the incident. It was alleged that the snowboarder was coming down the hill at approximately 35 mph and made no effort to avoid the Plaintiff prior to the impact. Punitive damages were claimed. The snowboarder filed a Rule 12(b)(6) Motion to Dismiss. In his memorandum, Judge Conaboy held that, under the facts before the court of a skier having been injured by another reckless skier, while the the Skier Responsibility Act may preclude a claim involving a collision between skiers as a result of ordinary negligence, the Act did not preclude claims against someone who skiing abnormally, recklessly, or out of control. The Court also ruled that the punitive damages claim would be allowed beyond the Rule 12(b)(6) motion to dismiss stage as adequate facts had been alleged to support the filing of a claim for exemplary damages. I thank the prevailing Plaintiff's Attorney, Stephen Seach, of Seach Law Offices in Drums, PA for bringing this case to my attention.